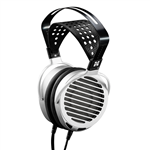 The HiFiMan Jade II Electrostatic headphone delivers excellence at a great price! 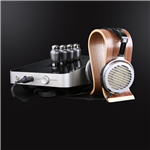 The HiFiMan Jade II Electrostatic Headphone System brings the electrostatic experience at a great value! The MrSpeakers VOCE is an electrostatic headphone with amazing sound!!! The HiFiMan Shangri-La jr is an electrostatic headphone and amp combo for the audiophile headphone listener! The HiFiMan Shangri-La SR represents the ultimate in Electrostatic headphone listening.